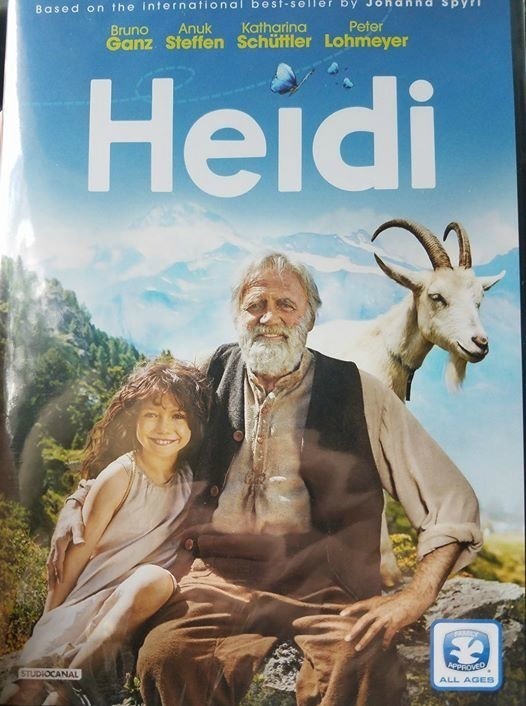  HEIDI Arrives on DVD! With Beauty and the Beast coming off another huge box office this past weekend, and the recent success of Disney’s Jungle Book adaptation, it’s quite apparent that there’s a need for more great live action films that can be enjoyed by the entire family. Enter HEIDI, Studio Canal’s latest adaptation of the timeless children’s classic, which hit DVD and Digital HD yesterday from Omnibus Entertainment/Film Movement! Featuring incredible on-location sets in the Swiss Alps and a winning cast, this acclaimed version also captured the “Best Children’s Film” at last year’s German Film Awards. Called “handsomely crafted ,” this most recent adaptation, an international box office smash that has played at top children’s film festivals across the U.S., also captured the award for “Best Children’s Film” at last year’s German Film Awards. Omnibus Entertainment’s DVD features both the original German language version with English subtitles, as well as a dubbed version. Enter to win! Two winners will be chosen to receive a copy of HEIDI on DVD.